The controversy surrounding Facebook’s changing policies heated up again this week when the FTC announced on Wednesday that they would begin an inquiry into the site to determine whether or not the site’s new policies violate a 2011 agreement with the FTC. 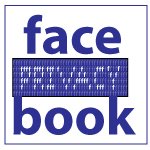 The policy language behind the controversy clarified that, when Facebook users sign up for the site, they are automatically granting Facebook broad permissions and rights to use their information in advertising. For its part, Facebook says it informed the FTC about the proposed policy changes before they posted it on the site. The FTC, however, says they were not consulted. There has been increasing pressure placed on the FTC to investigate Facebook’s policies, first from six consumer rights organizations last week and now high-ranking U.S. legislators. Senator Edward J. Markey of Massachusetts sent a letter to the FTC on Wednesday asking them to step in and stop the site’s rules from being implemented. Facebook announced earlier this week that it was delaying the implementation of its new policy language by a few days, though with the government getting involved, it’s unclear if the policies will ever take effect at all.